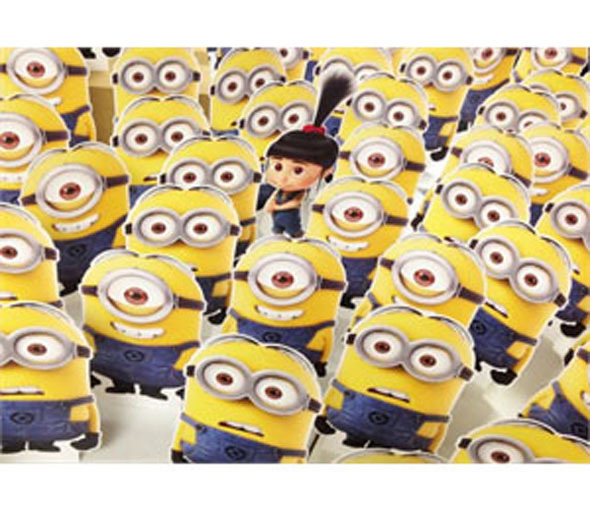 Official Despicable Me 2 Desktop Cut Outs. 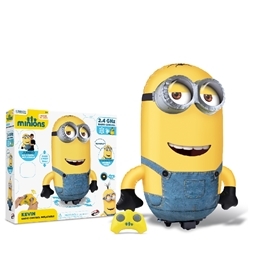 Why not surprise your friends by having a character from Despicable Me 2 join in at your next party? Collect them all! Each cut out is made from high quality durable card; is approximately 30cm tall) and comes with fold out strut and is self supporting. Each cut out is also incredible cute and there is a significant chance that your productivity levels will decrease due to looking at Dave lovingly all day every day. 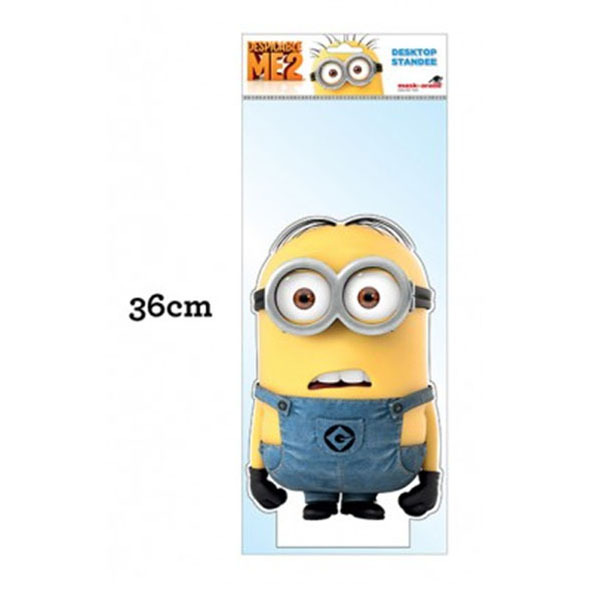 Click here to see our other Despicable Me standees, including Agnes and Minion Stuart! *sings* Ba ba ba ba na na na.